A pleasure to make your acquaintance! I’m Lusha, and I help marketing professionals save time and meet their goals faster. Today I’ll discuss lead generation tools – specifically, ones that will add a lot of value to your lead gen operation but won’t cost you a buck. Lead generation has changed. In the past, a majority of leads came through outbound channels like tradeshows, print and TV advertising, and paid online advertising. Today more and more leads are inbound – obtained by tactics like social media, SEO, and content marketing. Inbound lead generation is “softer”. You’ll need finesse and sophistication to get the right prospects into your lead pipeline, qualify them, and nurture them until they become opportunities. Lead capture – forms and other ways to allow users to submit their details. Landing page platforms – tools that set up attractive pages for incoming leads. Lead enrichment – tools that provide more data on leads to qualify and segment them. Email marketing and automation – systems that can help you contact leads with offers and nurture leads to move them closer to a sale. Live chat and messaging – tools that help you communicate with leads on your site. Sumo is a popular tool offering multiple ways to capture leads on your site. It supports overlay popups, popups embedded in pages, popups that display triggered on user activity, “welcome mats” that load above a page before a user scrolls down, share buttons, and sticky bars at the top or bottom of the page. OptinMonster provides lightbox popups, “welcome mats”, slide-in scroll boxes, floating bars, inline forms and more, with a drag and drop builder for creatives. Following are two great landing page builders that are absolutely free. 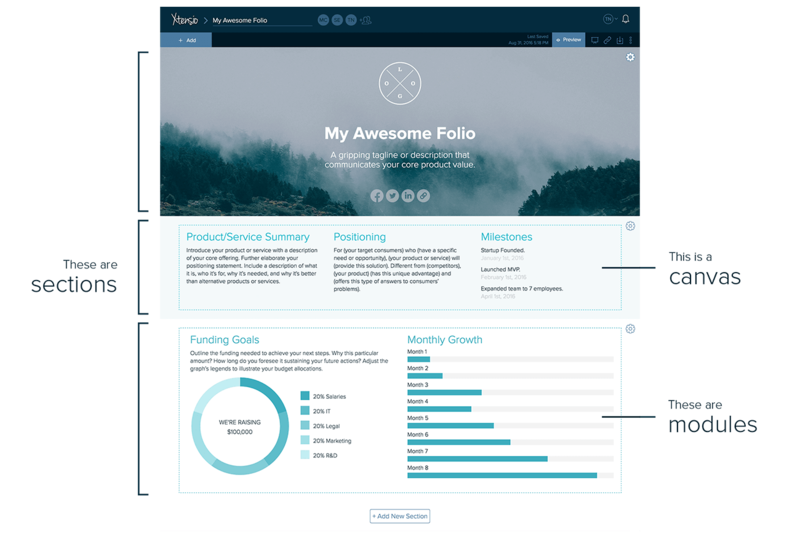 Xtensio is an innovative solution that lets you build website landing pages that can also be displayed as slide decks and documents. Wishpond is a free WordPress plugin that lets you create landing pages based on over 100 templates. It integrates with all common email marketing apps, as well as SalesForce, Zapier, and Segment, so you can save leads to anywhere you like. A critical part of lead generation is getting the right contact details. Our very own tool (yes, named after me 😃) can help. Lusha is based on a database of hundreds of millions of business profiles and can help you enrich lead data with accurate emails and direct dial phone numbers. You can improve conversion rates by asking less of your users – for example, only requiring that they sign in with their LinkedIn account – and rely on Lusha for direct email and phone number. Lusha provides a Chrome Extension, contact API, and SalesForce CRM integration. Datanyze analyzes websites and tells you what technologies are being used by the website; revenue, size and other attributes of the company behind the websites, and also contact details of individuals working at the company. An excellent way to discover if a lead with a corporate email works at a relevant company. Discover.ly is a browser extension that gives you valuable details about anyone based on their email – social profiles, recent tweets and Facebook posts, and information from AngelList and Crunchbase. This can help understand if leads signing up on your site are qualified, and which offer might appeal to them. MailChimp is a popular email service provider with a famously easy user experience. You can literally start sending nicely-designed emails to segmented lists in minutes. MailChimp has powerful features and recently rolled out full email automation (which is, however, not available on the free plan). Sendinblue powers marketing email campaigns, transactional emails, and also provides basic marketing automation features. It has one of the most generous free plans of all email service providers. Leadsius is a full-featured marketing automation platform, including email marketing, automation, web forms, landing pages, lead analysis and reporting, marketing dashboards, and website tracking. Here are two great options for live chat, which have a free forever plan. Drift is a live chat app that displays a bubble on your site, which visitors can click to talk to your sales or support staff, or to intelligent chatbots. Drift is designed for lead generation and has features that help qualify leads and encourage qualified leads to schedule appointments with your sales team. Tawk.to is A completely free site messaging solution, which makes money from providing answering services to select clients. Comes with widgets and cool attention-grabbing bubbles. Lead generation is growing more sophisticated, and so are the tools that power it. From flexible lead capture via popups, embedded forms and “welcome mats”; to one-click landing page builders; to lead enrichment that uncovers things you never knew about your leads; to email marketing and live chat tools that help you connect with your leads. In this post, I showcased a few great tools that help with each of these activities and are free to use forever, at least on a small scale. My word of advice – focus on quality. At each part of the lead gen process, from acquisition to lead capture to enrichment, consider how to use the tools to uncover the highest quality leads and deliver them to sales. There are many creative ways to discover your leads’ essential qualities – for example, their pains or use cases, or their budgets. If you manage to deliver those to sales, you’ll be a star. Our solution, Lusha, can help with one part of this effort – getting high-quality emails and phone numbers for contacts, even if they didn’t provide them during the lead signup process. Ensuring sales can quickly contact the best leads, every time. Try our free plan today!